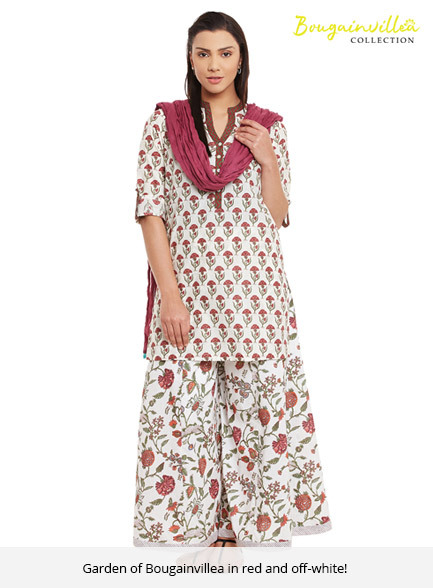 Go floral this season with Bougainvillea’s collection. 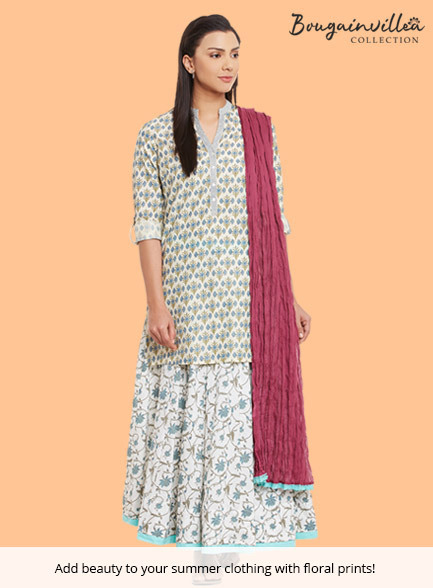 This collection focuses on pastels and motifs inspired from miniature paintings. 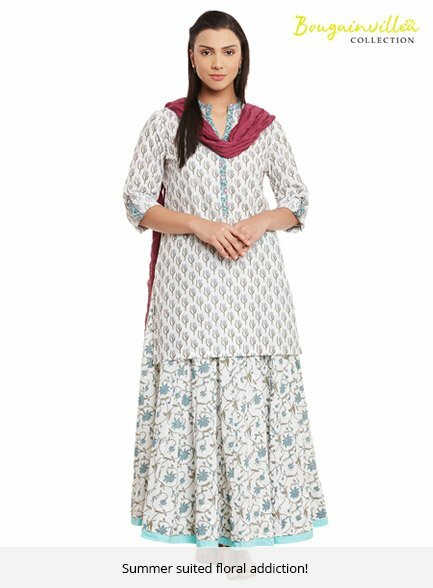 Carry an “easy-to-wear” look with this set of kurta and palazzos for a heated summer afternoon and you will be loaded with compliments. 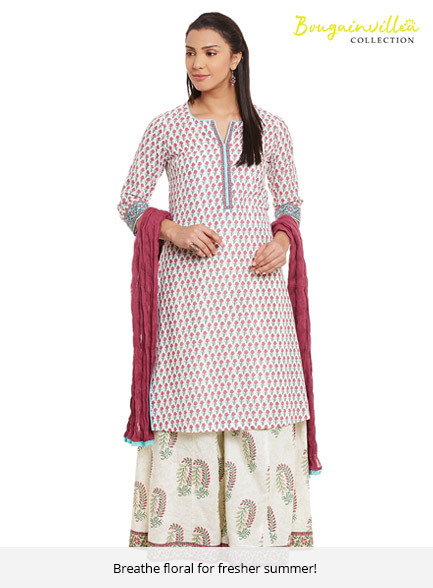 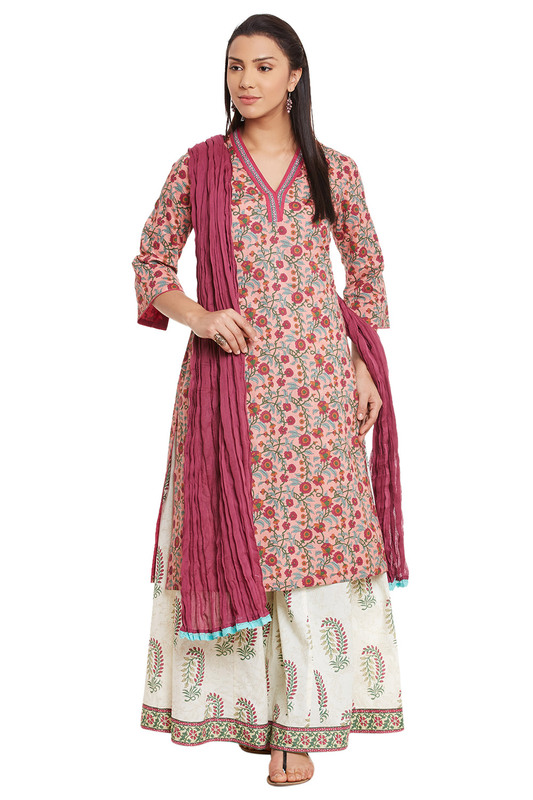 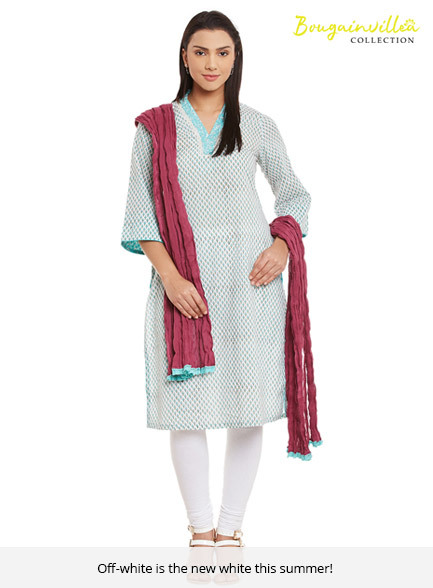 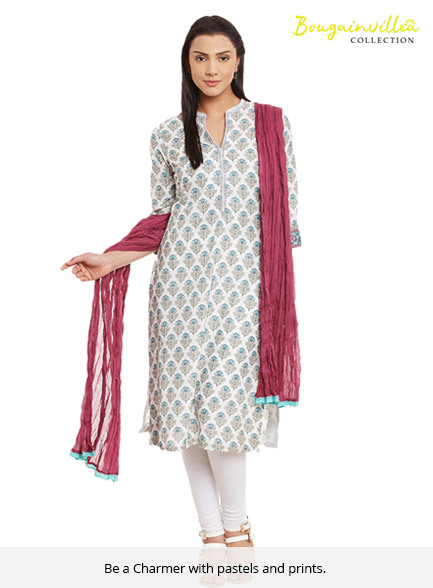 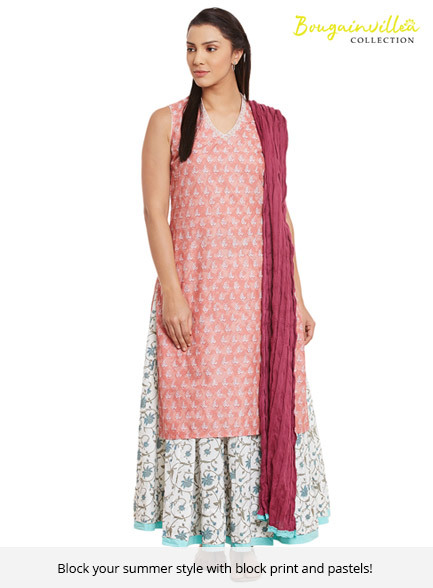 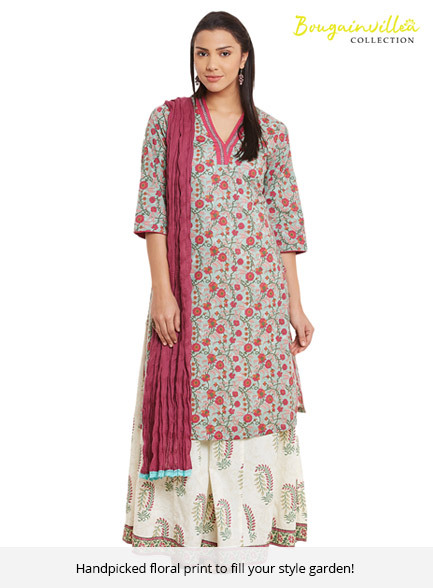 A matching dupatta will definitely be a stunning piece to complete your overall look!